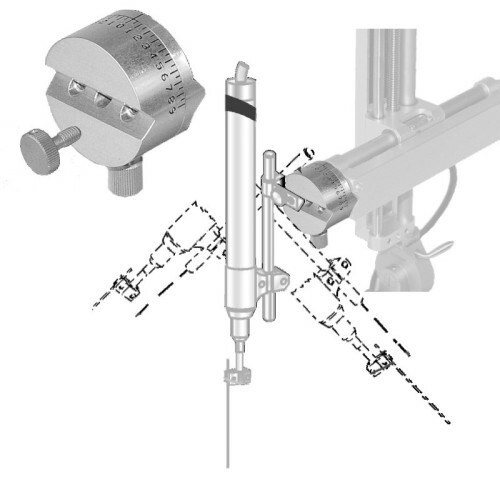 Model 1460-G Rotation Adapter allows a third rotation axis with up to 180° of rotation to be added to any Kopf manipulator / micropositioner stereotaxic set up. All Kopf manipulators have been designed to give maximum versatility with regards to movement and positioning. With our Model 1460-G Rotation Adapter and Kopf micropositioner you can obtain a third rotation axis for achieving specific angles required.